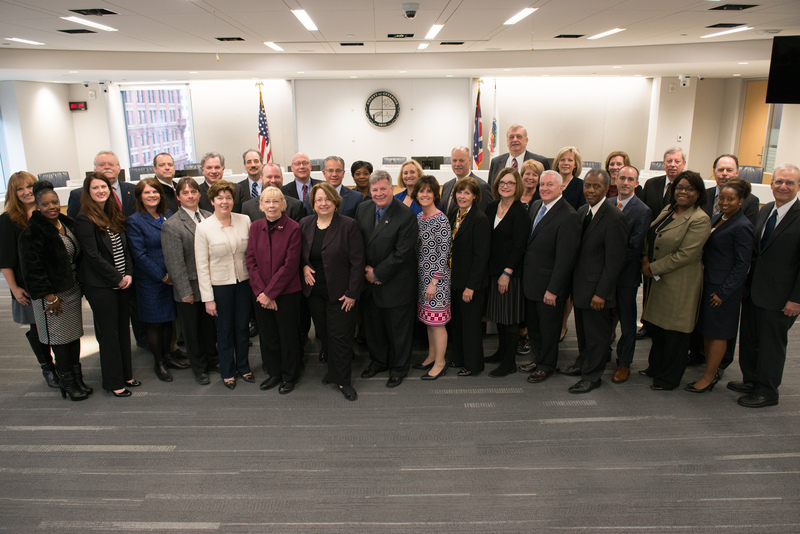 The Cuyahoga County Mayors & City Managers Association has been in existence for over 80 years and represents all 57 municipalities in the Cleveland area. The Association's mission is to use the collective influence and strength of the 57 municipalities to assure fair and reasonable allocation of funding to make its collective voice felt on any pending pertinent legislation and cooperate with neighboring county associations when appropriate to advance the cause of the region. The Association will work to forge a balanced and mutually beneficial on-going relationship among all members and to explore methods and procedures whereby the collective cooperation of multiple communities would result in cost savings and other efficiencies. It will actively consider any issues deemed in the best collective interest of its members and develop and promote a positive position. The Association also promotes a closer working relationship with the County Executive, the County Engineer, and any other applicable county agencies, the state legislative delegation, and such other governmental entities for the benefit of the Association’s members, to serve as a forum to educate the members on significant issues pertaining to municipal government, to take stands as an Association on relevant public issues of the moment so that our collective voice may be heard and felt, and to do such other things necessary or proper for the betterment of this County and its citizens.